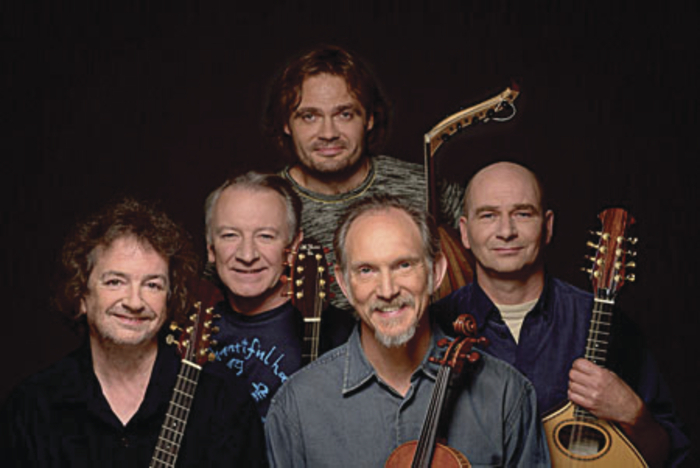 IRISH FOLK legends Andy Irvine and Donal Lunny will bring their band Mozaik to the Róisín Dubh this Saturday at 8pm. Completing the Mozaik line-up is Hungary’s Nikola Parov, the USA’s Bruce Molsky, and the Netherlands’ Rens van der Zalm. Together they create a fiery fusion of Irish, Balkan, and American old time music. The band released their latest album, Changing Trains, in March. The Irish Times’ Siobhan Long has described them as playing “glorious music that raised spirits, roofs and not a few pulses along the way”.